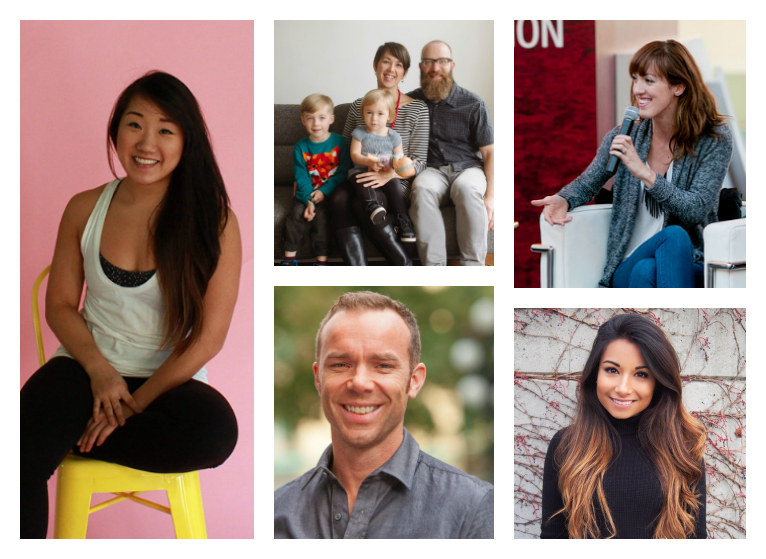 Meet our Modo Ambassadors: Fellow members from all walks of life sharing their Modo story! How many times has a friend asked you, "How does Modo work?" While you can answer by saying Modo has the lowest rates in town or the most diverse fleet, the real question being asked is, "How does Modo work for me?" Our Ambassadors have two things in common: They're local bloggers and proud Modo members. As Modo Ambassadors, they'll be sharing how Modo fits their lifestyle from different perspectives including travel, lifestyle, shared mobility, family fun and urban planning. 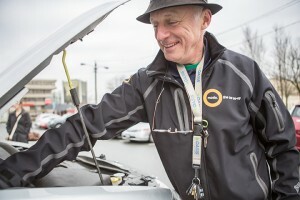 As carsharing advocates, their stories can help anyone who's considering carsharing understand how it can fit their lives and prove why Modo is the number one choice for two-way carsharing in the Lower Mainland and Victoria! 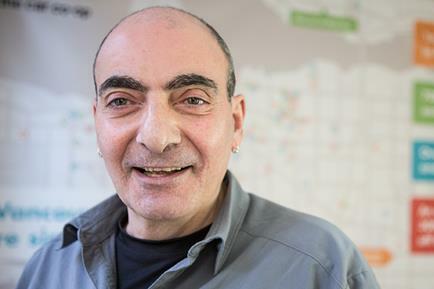 The bigger and stronger our co-op gets, the better we can serve all our members. Adrian believes owning less leads to having more, and proves so on his lifestyle-for-minimalists blog 5kids1condo. Alicia, a British lifestyle and travel writer, recently took a snowy Modo trip to Joffre Lakes with one of our new Jeep Renegades! Are you a local blogger and interested in becoming a Modo Ambassador? We'd love to hear from you! Please send your inquiries to marketing@modo.coop. NEW LOCATION at Pioneer Square: We've moved our 2014 white Nissan NV 200 cargo van (#565) to 850 Broughton Street, at Quadra, in front of the garage on the corner. NEW LOCATION at Oxford & Moss: A 2016 red Kia Sedona (#759) lives on Oxford Street at the corner of Moss Street. CAR CHANGE at Ormond: We've moved the cargo van downtown, so Ormond now hosts a 2015 grey Toyota Prius C (#746). UPGRADE at Centaurus Circle: You can now find a 2012 red Chevrolet Orlando (#442) instead of a 2007 Yaris sedan. NEW LOCATION at City Centre Community Centre: Two Toyota Prius Cs — one blue (#769) and one red (#767) — now live at the corner of Firbridge Way and Minoru Boulevard, in the underground parking lot beside the community centre entrance. 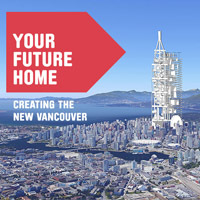 LOCATION MOVE at Ace of Suedes: During construction at The Cultch, we've moved our 2013 silver Ford CMAX (#503) down the hill to the triangular lot between Commercial Drive and Commercial Diversion at Adanac Street, northeast of Ace of Suedes. Longtime Modo members might remember when we named this parking lot "Astorino's"
CAR CHANGE at CCEC Credit Union: After a few weeks' absence while the parkade gate was being repaired, we've replaced the white Nissan Versa sedan with a blue one (#376). UPGRADE at Victoria Park: A 2016 white Kia Sedona (#766) has replaced the 2010 Dodge Grand Caravan. UPGRADE at Yanviriya: There's now a 2016 white Toyota Sienna (#768) instead of a 2012 Chevrolet Orlando. UPGRADE at Richards & Smithe: a 2016 white Honda Fit (#772) has replaced the Scion XD. It joins the Prius C and Versa Note. NEW LOCATION at Jellicoe & Kent: Modo has entered the River District! A 2015 red Fiat 500 (#771) now lives in the 8500 block of Jellicoe Street, just north of Kent Avenue. We have a designated stall on the east side of the street. NEW LOCATION at Romer's River District: Find a 2016 white Kia Soul (#770) in the parking lot at Romer's Burger Bar, 8683 Kerr Street. 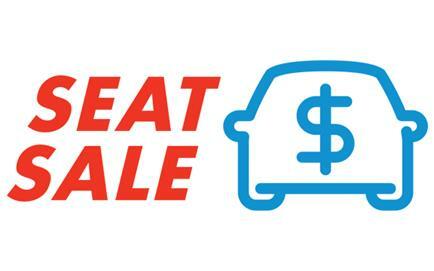 CAR CHANGE at Bayswater & W 5th: We've replaced the blue Nissan Versa Note with a 2014 blue Nissan Sentra (#539). CAR CHANGE at Admiral Seymour: We've replaced the blue Nissan Sentra with a 2014 blue Nissan Versa Note (#516). Can't find the key? There might not be one! Several of our cars have a Push Button start switch and do not need ignition keys. If you haven't driven one of our keyless cars yet, take a look at this month's FIWF. It's that time of year: spring cleaning! Our Fleet Team does a fantastic job of keeping our cars neat and tidy, but they certainly appreciate help from members, too! This month, Ron's got a simple Pro Tip to keep our growing fleet showroom new. Starting March 4 and ending March 24. When you book a Modo, do you check the Vehicle Notes? Take our Quick Poll and share your Vehicles Notes feedback. Modo has partnered with the charity Music Heals for the Canada Running Series Modo Spring Run-Off 8k to support local music therapy at the Dr. Peter Centre. 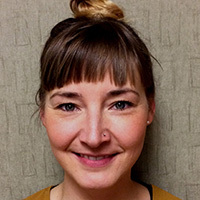 We spoke to Andrea Matchullis, resident music therapist at the Dr. Peter Centre in Vancouver`s West End, to learn more about this unique form of therapy and the impact music can have on patients. Thanks to all our members who participated, together we brought another 16 iPods to the program - and you can still donate your mp3 players! 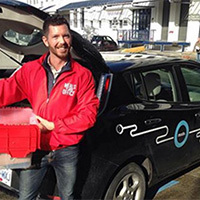 Shift Delivery and Modo have teamed up for a Co-op collaboration: Deliveries by EV. One of Modo's Nissan Leaf EVs supports Shift's fleet of trikes so their team of "Shifties" can deliver larger orders and stay true to their sustainable transportation mission. Read more. >> SEYMOUR SPOTS We've added two additional parking stalls at Mt. Seymour for back country use, right at the top of lot P5. That makes six in total! >> DRIVING RECORDS If your family or friends want to join Modo, they can now request their driver's abstract, insurance and claims history record online! 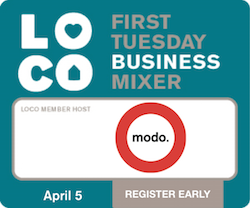 >> SHARING ECONOMY PANEL Modo is hosting a LOCO Business Mixer on April 5th (see Community Calendar), including a Sharing Economy Panel. Join the discussion! There's still time to register for the Modo 8k! Use the promo code MODO8K-MEMBER and get a 20% discount!